This past weekend Team 254's seven VEX teams were split between two tournaments, one in Modesto and one in Los Angeles. Teams 254 A, C, and F went down to the CSUN Los Angeles Regional, while Teams 254 B, D, E, and G went to the Central Valley Sack Attack Tournament in Modesto. 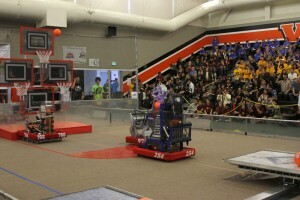 254F became an alliance captain at Northridge, and 254E became a captain in Modesto. 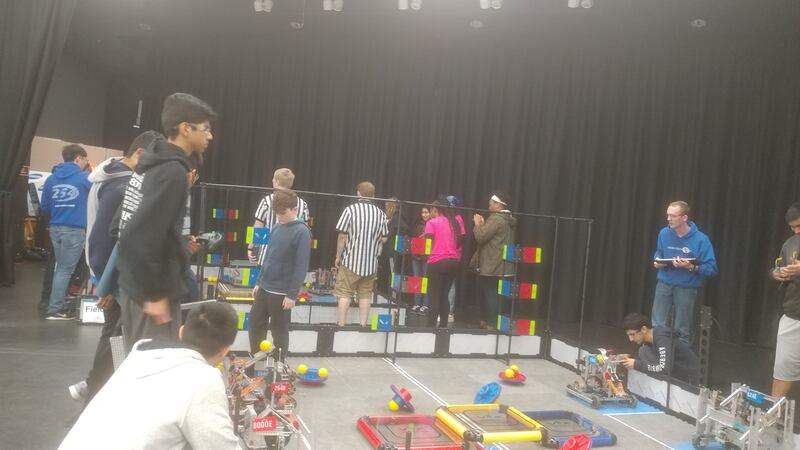 Every one of our VEX teams reached the elimination rounds for a second consecutive tournament, a fact which every 254 member should be very proud of. In Modesto, 254G went on to win the tournament along with their alliance partners 5327A and 5327C! 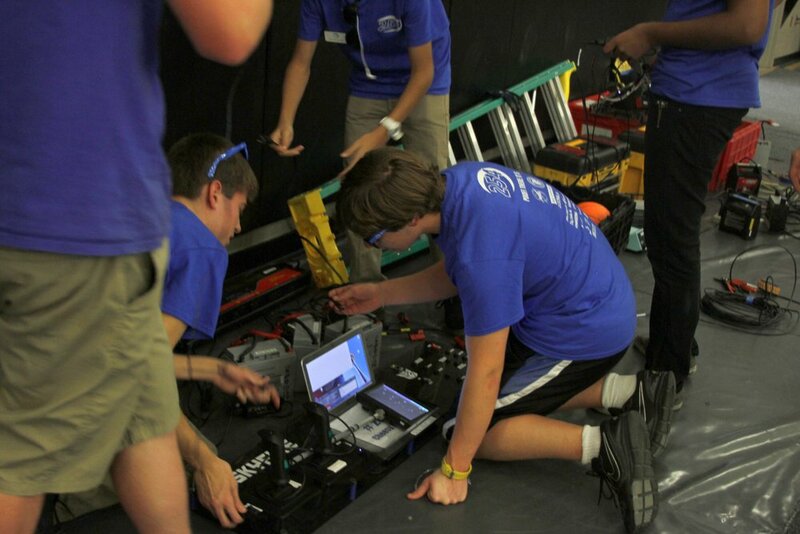 254D also posted an outstanding score of 206 in Robot Skills, which currently puts them in a tie for 17th in the world. Congrats to the success of all our VEX teams this weekend after putting in hundreds of hours of hard work and commitment! 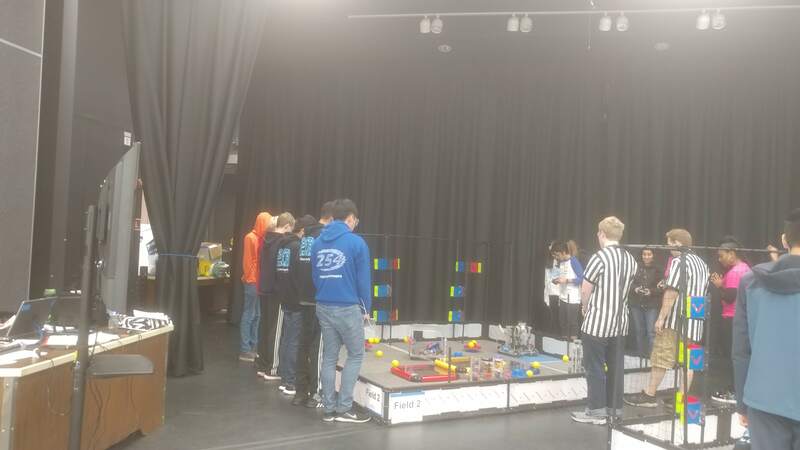 These were the last two tournaments planned for Team 254 to attend until the VEX World Championships in April. 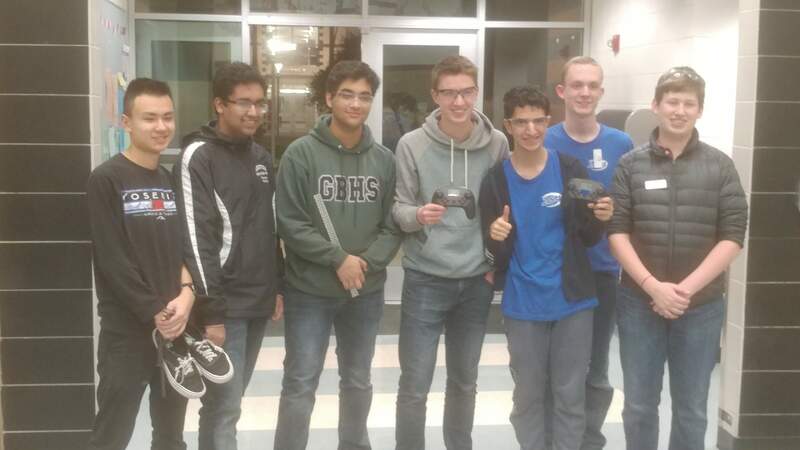 However, with the recent unveiling of a California State Championship Tournament in March, Team 254 will be reevaluating our future plans for the robotics team as a whole for the coming semester. Currently Teams 254 A, C, F, and G are qualified to attend the first annual California State Championships. This past weekend Team 254 attended CalGames 2012 at Woodside High School, an off-season replay of the FRC game Rebound Rumble. After 4 wins and 4 losses in qualification matches, 254 was the first alliance choice for the #1 seed, Team 971. 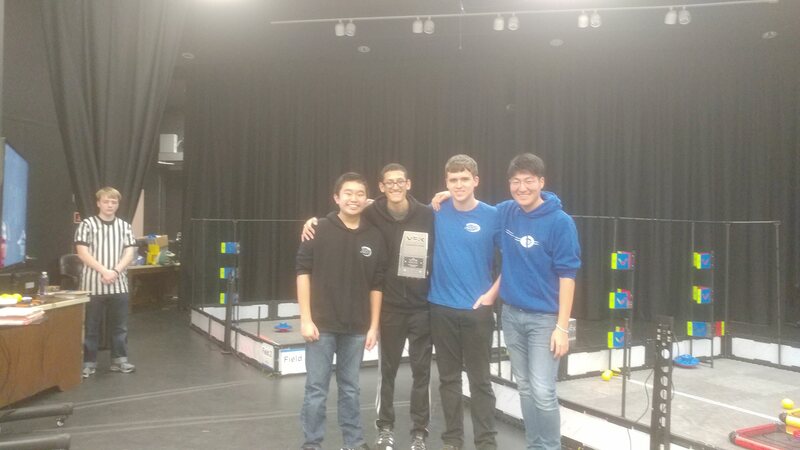 Later joined by Team 766, the #1 alliance proceeded through the elimination matches, defeating the #8 alliance, #5 alliance, and the #2 alliance in 2 matches each.  This marks the fourth year in a row that Team 254 has been a champion at CalGames. Thank you to all the team members, parents, mentors, and friends who represented Team 254 at CalGames! We could not have done it without the hard work of all our students, including all of the scouts, pit crew, drive team, and more. A special thanks to the volunteers and mentors who donated their time and energy to help Team 254 work smoothly throughout the competition. I hope all our members enjoyed their first taste of FRC this year, and are looking forward to a fantastic 2013 season! VEX Captains have requested the number of CAD Licenses, and we can begin installing them on the team laptops tomorrow. 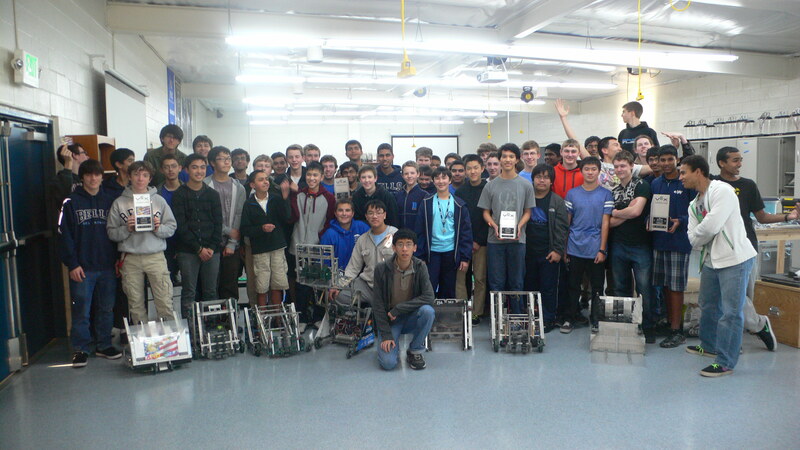 Bellarmine VEX Volunteer form is now online! If you are not associated with a VEX team or your captain says it is okay, you can fill out the form to be given a volunteer position. You can fulfill your outreach requirement by volunteering! And get a free T-shirt! Attendance is limited to 40 team members at a time, so RSVP on the signups page! Rides will not be provided to or from Woodside. Please find your own means of transportation, including carpooling with other 254 members! Students who signed up for the CalGames food order should reimburse Ms. Roemer $7 before next Wednesday, October 10th.